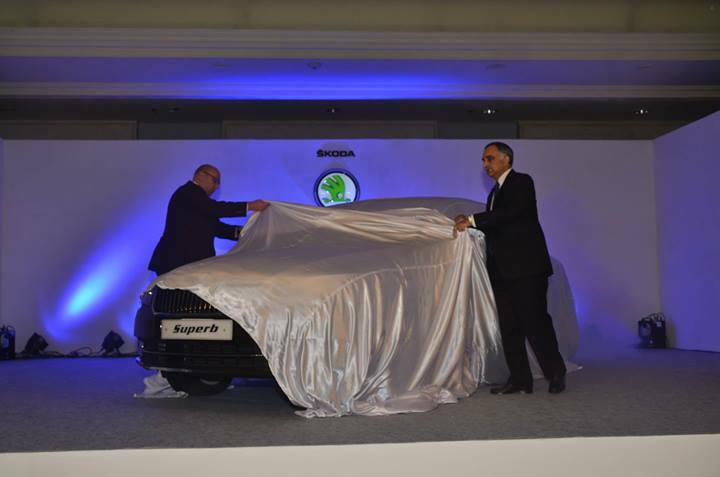 Skoda Auto India finally launched the refreshed Superb today. The car features minor changes to the front and back yet you can recognize that its a Superb. 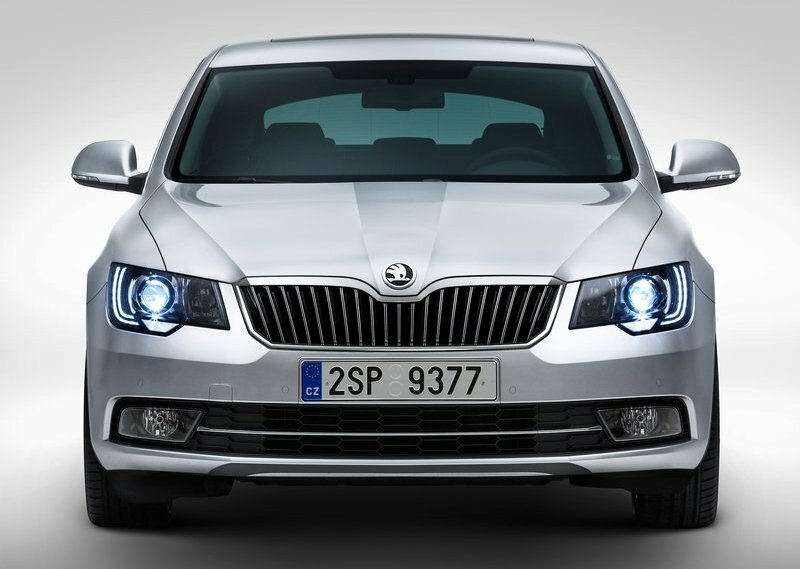 The front changes include DRLs, the now-familiar Skoda family grille and an aggressive new bumper. The rear complements the front with updates like LED taillights and the registration plate has been moved to the bootlid from the bumper. A newly designed set of alloys and a three spoke steering wheel complete the facelift. The car will continue to feature the long equipment list and all the other goodies. Skoda has shied away from making any changes inside the engine bay , meaning that the car will feature the same engines as the previous model. 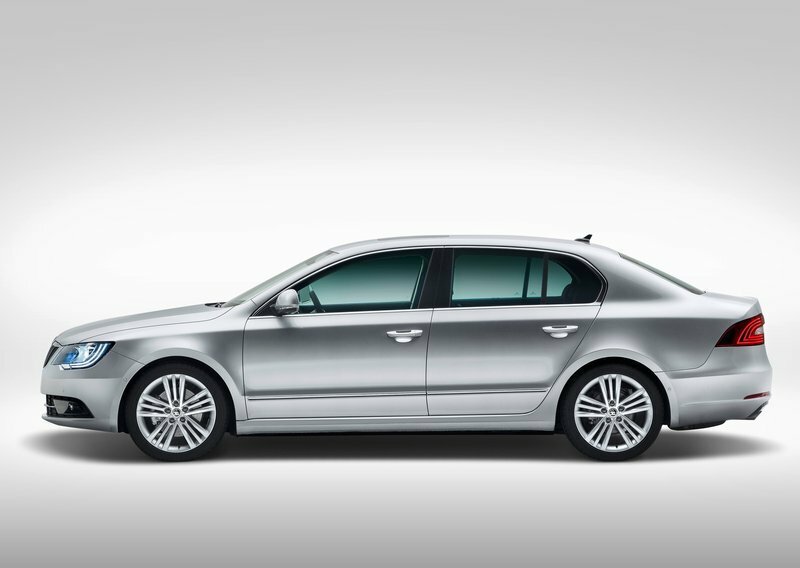 The brilliant 2.0 litre TDi motor with power figures of 140 PS @ 4200 rpm and 320 Nm of torque between 1750 – 2500 rpm. The recently discontinued V6 engine will however, not make a comeback with the facelift. The TDi is mated to a 6-speed DSG transmission. The 1.8 litre TSi (petrol) variant belts out 160 PS of power all the way from 4500 rpm to 6200 rpm. It is mated to either a 6-speed manual or a 7-speed DSG. The Torque figures are very healthy at 250 Nm between 1500 rpm to 4500 rpm. The company had to update the superb this time around as it had been loosing some ground to it updated rivals. The next generation Superb will come along in the next couple of years and Skoda wanted the Superb to maintain its position untill then. Skoda hopes this facelift will do just that. Along with the Superb, Skoda also unveiled the refreshed Yeti, which does away with those googly eyed front. The Yeti will be launched in the second half of 2014. Stay tuned to AutoColumn for updates on the Yeti.